The Denver Broncos need a left tackle. The front office knows it, the fans know it and other NFL teams hope they don’t acquire one. 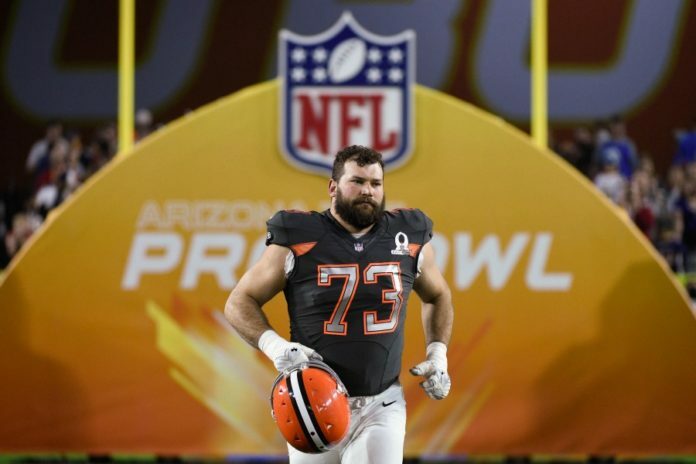 The Cleveland Browns’ 10-time Pro Bowl tackle Joe Thomas has been connected to the Broncos for quite some time. 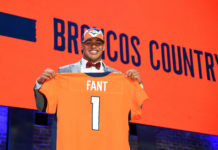 Thomas’ agent, Denver-based Peter Schaffer, joined Eric Goodman and Les Shapiro during Afternoon Drive on Mile High Sports Radio to discuss his client. With some hall of fame clientele, such as Barry Sanders and Willie Roaf, Schaffer has been around the best. Thomas is as talented as they come at the tackle position, but Schaffer also sees his character as a plus. Though things in Cleveland have looked bleak in recent years (and beyond), Thomas is hopeful and positive about the future for the Browns. “As they rebuild the team, he gets more and more excited about the direction that team’s going,” said Schaffer. Despite this, don’t think Thomas doesn’t think about Denver. It’s a city he could definitely see himself living in. “He did me tell though that if there’s any place he’d like to be, he does love the Rocky Mountains,” said Schaffer. The great weather Denver offers would be a well-needed change of pace from Cleveland’s cold and dreary temperatures. 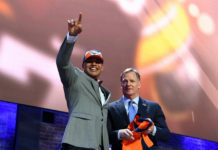 Although he seemed to be joking on the matter, hopefully Schaffer hasn’t given up faith in bringing Thomas to Denver. Listen to the full interview with Peter Schaffer, including his thoughts on representing Joe Mixon, in the podcast below.